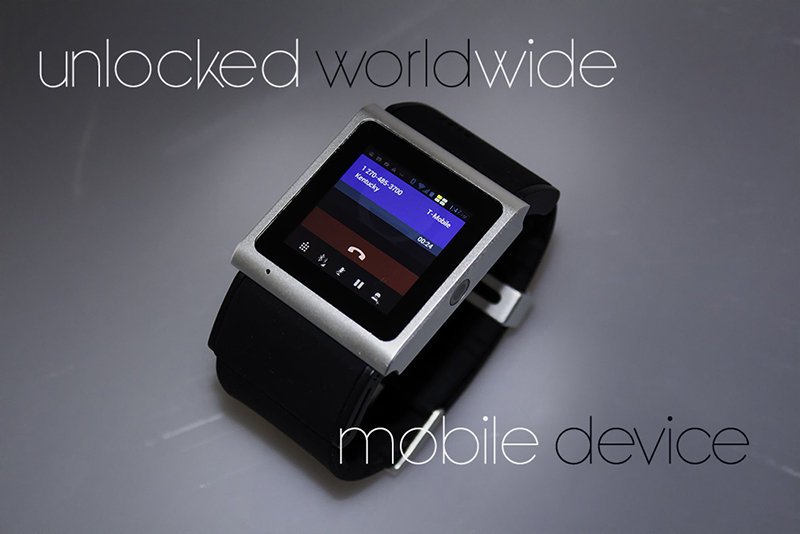 Revolution 3G SmartWatch Phone Android 4.0 with WiFi AT&T, T-Mobile Most Innovative SmartWatch Ever! The Revolution Android 4.0 SmartWatch Phone is the latest most advanced Android 4.0 SmartWatch Phone on the planet. Dynamic and sensational are exactly how to describe The Revolution SmartWatch Phone. Touchscreen, WiFi Internet, apps, music player, movie player, and camera are now just a tap to the wrist away. This Android 4.0 SmartWatch Phone takes smartwatches one step further into the future. Make calls, receive text, check emails, post on Facebook, schedule appointments, and manage your financial accounts without having to pair to a smartphone. The Revolution SmartWatch Phone is a smartphone on your wrist. Just insert your SIM card and get ready to Evolve. Shipping begins Nov. 28 2013. Preorder now at this introductory price. Color: Black This item is currently out of stock!